Habitat Park, urban area, riverside, etc. Range in Japan Kanagawa and Mie Prefs. In Hyogo Pref., although reproduction had been recorded for eight years, the population disappeared since early 1980s. Impact Potentially: Competition with native birds (actually occur in foreign country). Damage on agriculture in native range. Potential host of psittacosis. Introduced range in other countries Israel, Belgium, Spain, Portugal, Italy, Slovakia, Canary Is., USA, Bahama, Puerto Rico, a part of lesser Antilles, Chile, etc. 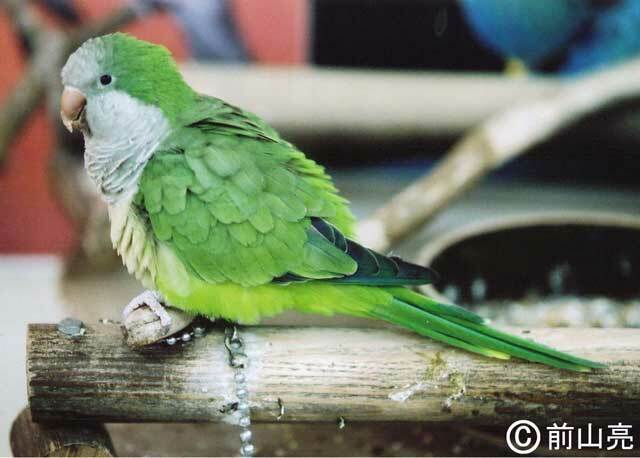 Juniper & Parr (1998) Parrots. Pica Press, East Sussex.